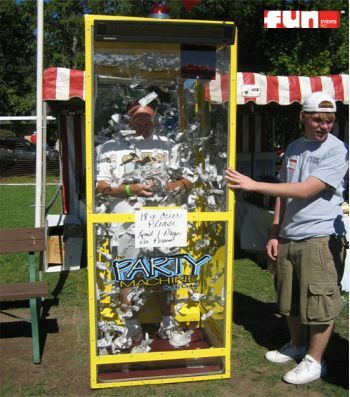 Designed for portability, This glass enclosure, The Fun Party Money Machine rental is sure to be a hit at your company picnic, school carnival, church festival or other special event. The Money Machine rental can be used for prize giveaways with play money also. Contact us for details.